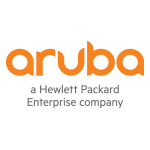 "Wi-Fi is a necessity for any hotel to stay competitive, particularly in Las Vegas"
Aruba, a Hewlett Packard Enterprise company (NYSE: HPE), today announced that the Downtown Grand Hotel & Casino, a boutique hospitality and entertainment destination in the heart of revitalized downtown Las Vegas, is using Aruba wireless, wired, security and location services solutions to bring new services and experiences to its guests and the surrounding community. 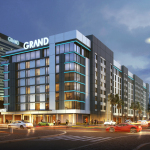 The Downtown Grand has been an Aruba customer for a number of years, but in 2016, Area Director of IT Erik Gavilanes made a decision to standardize on Aruba infrastructure when the property began planning for a major upgrade. Currently, Aruba Wi-Fi covers the property’s indoor and outdoor spaces, including the pool deck and a section of 3rd Street that runs between the Downtown Grand’s buildings, which is the frequent site of music, art, food and entertainment events. With the upgrade, the Hotel will install high-speed, location-ready Aruba 802.11ac Wave 2 APs to transform every hotel room into a “smart room” with location-based services and IoT capabilities. New APs will also be installed to provide better coverage, performance and services for their outdoor spaces. In addition, the Hotel will use all-Aruba solutions in its new tower scheduled to open in 2020, which will add nearly 500 guest rooms, bringing the property’s total to 1,100 rooms. Working with Summit Partners of Las Vegas, the Downtown Grand has also deployed Aruba network switches to securely connect the property’s IP surveillance cameras, Aruba AirWave for wired and wireless network management, and Aruba ClearPass for simple-to-use guest Wi-Fi. Because Aruba’s solutions are built on an open, multi-vendor platform, Gavilanes said the integration with the Hotel’s existing systems, as well as those they plan to adopt in the future, is simple and cost-effective. Gavilanes and his team are also relying on Aruba AirWave to help in the design and construction phase of the upgrade, utilizing AirWave’s VisualRF tool to determine where the new APs should be installed. Once the AP count has reached the expected 1,300 across the property’s indoor and outdoor areas, he expects to use AirWave for optimization and management of the network. Another crucial piece of the Downtown Grand’s infrastructure upgrade is Aruba ClearPass. 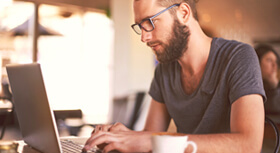 With ClearPass, the IT team can run a customized captive guest portal that integrates with the Hotel’s property management system to enable a tiered billing system for hotel guests, including complementary and premium options. The Hotel is also using ClearPass to offer non-hotel guests who may be visiting the property – particularly the outdoor venues during events – free Wi-Fi by using social media log-in or email. 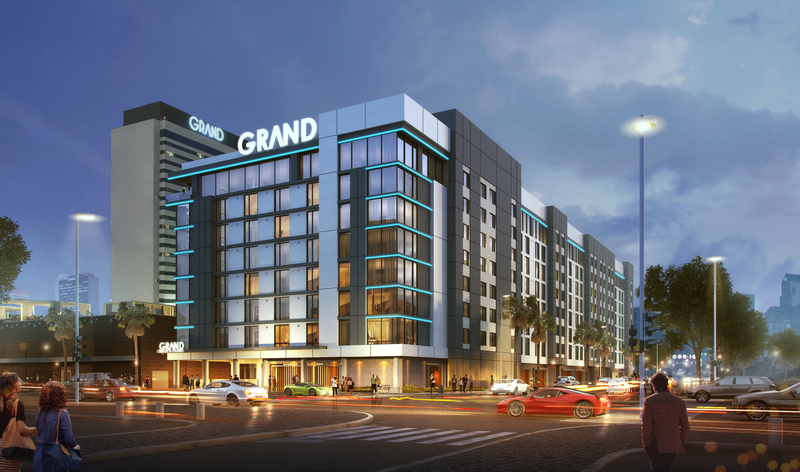 In the future, Downtown Grand expects to build upon their new Aruba infrastructure, leveraging ClearPass to unify the wireless and wired components, and expanding further on the Aruba APs’ location-ready and IoT capabilities to deliver more smart room functions to hotel guests. The Hotel foresees integration with HVAC units, lighting and temperature controls, and even door locks to enable truly smart rooms that could be prepared and customized for a guest at the moment of check-in. To learn more, visit Aruba at http://www.arubanetworks.com . For real-time news updates follow Aruba on Twitter and Facebook, and for the latest technical discussions on mobility and Aruba products visit Airheads Social at http://community.arubanetworks.com .